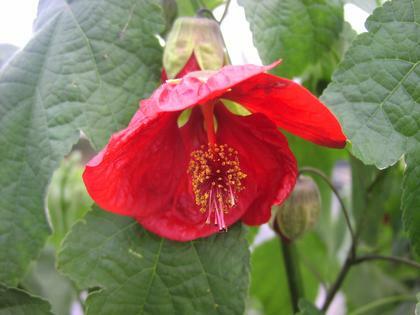 With blooms resembling small hibiscus flowers and foliage like a Maple tree, these versatile plants can be used in mixed or single species containers, baskets or as blooming houseplants and are easily trained for topiaries. Bright red hibiscus-like flowers on this dwarf flowering maple. The series Lucky Lantern has a compact, bushy habit. Blooms inside or out.